Ever since the Oreo Red Velvet I have been craving and searching high and low for the Oreo Cinnamon Bun. Cinnamon Bun is one of the simplest but tastiest flavours when done right, and I love nothing more than a cinnamon bun with a nice cup of tea, and I am hoping and praying that these live up to my expectation. Thankfully on my last trip to the ever exciting Longacres, luck was on my side as sitting on the shelf on their lonesome was the last packet of Oreo Cinnamon Bun. I can only assume it was holding out for me to come and buy them. At £5.95 this is less than other Oreo imports that I have seen. Fear not you can also buy these on Amazon. Peeling back the resealable flap revealed a tray full of golden cookies, 24 to be precise. The smell of cinnamon bun was just lickable. Thankfully I refrained from licking them all and opted for taking a bite. 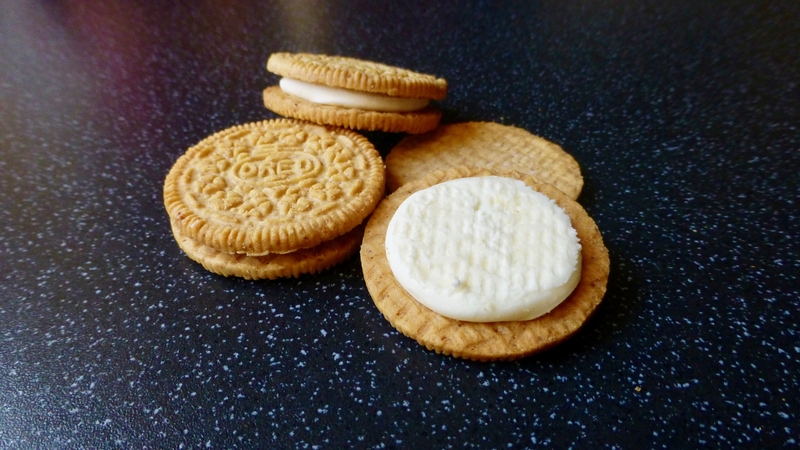 Once again these proved to be champions in thickness, seriously why are the UK Oreo fillings half the thickness? Squidgy and delightful these were delicious, the crisp golden cookie was undeniably the best choice in comparison to the standard chocolate cookie normally used. These had a good level of sweetness and no way near as sweet as the Red Velvet Oreos. The cinnamon cookie had a real kick to it and I like that they went for cinnamon in the cookie rather than in the cream. 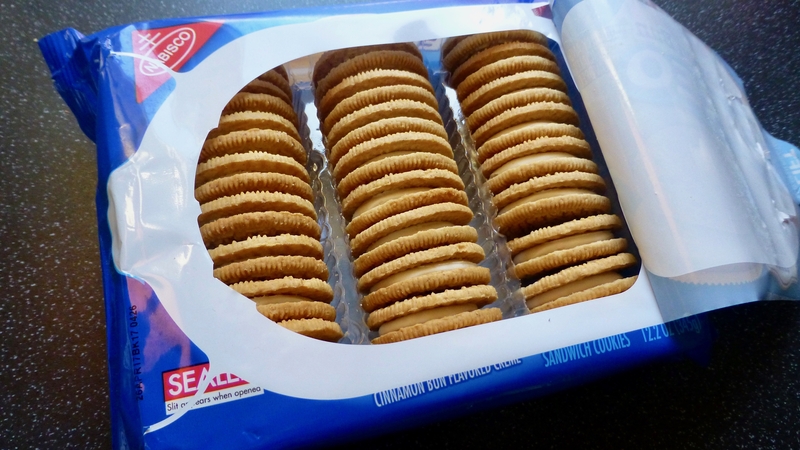 Yes Nabisco you have done it! Oreo Cinnamon Bun you are just amazing and worth every penny. 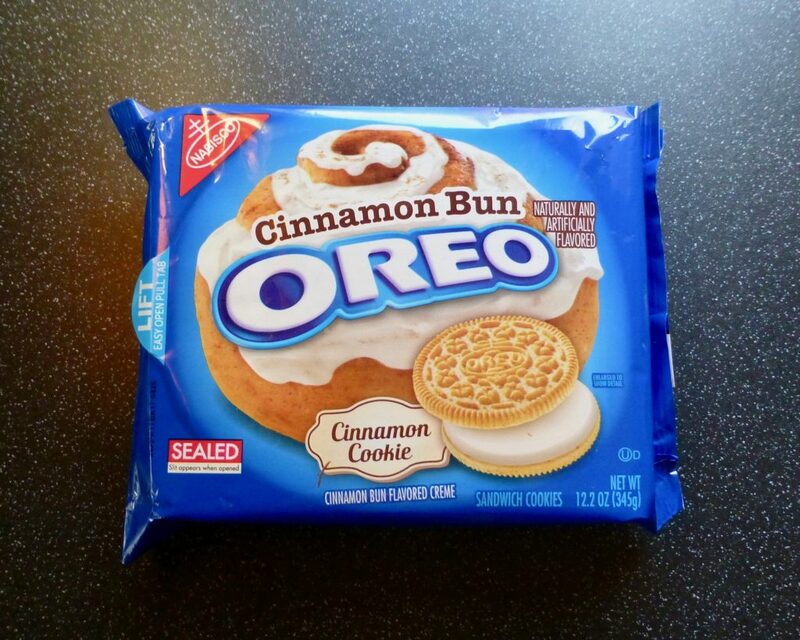 You taste like a cinnamon bun, you are far superior than the skinny UK cookies, and you are my new favourite Oreo. Go get these in your life. I know it’s so annoying ours are naff compared to the US. Certainly worth the extra pennies to buy these over ours.